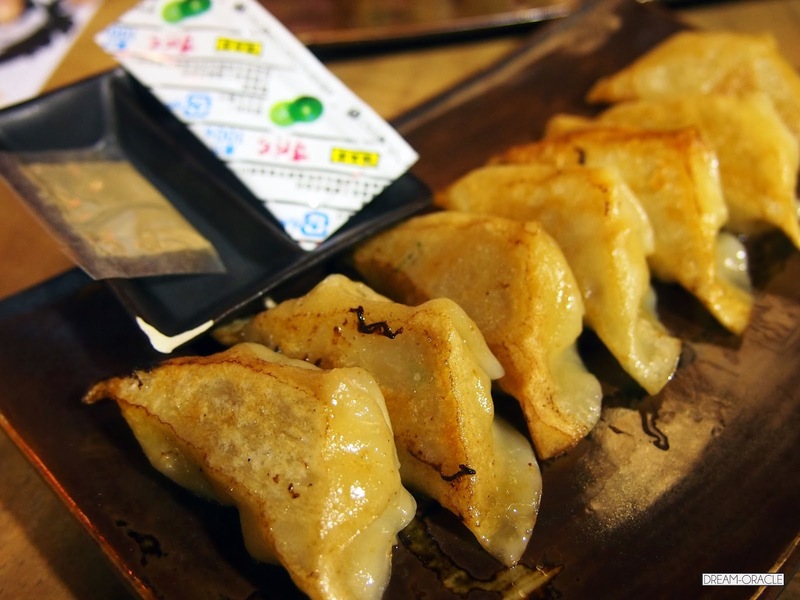 Teraoka Gyoza is the proud 7 time winner from the Japanese Gyoza Stadium and now they have an outlet at Siam Paragon in Bangkok, Thailand. The first day when I walked past, I was already drawn to this shop and the delicious aroma of pan-fried gyoza. I told myself I HAVE to try this before I fly home. My chance came when Paragon reopened on the day I was leaving. So so so so happy to be able to eat that finally! Juicy chicken thigh gyoza, served with special black pepper and fragrant "Sudachi" lime dressing from Tokushima. 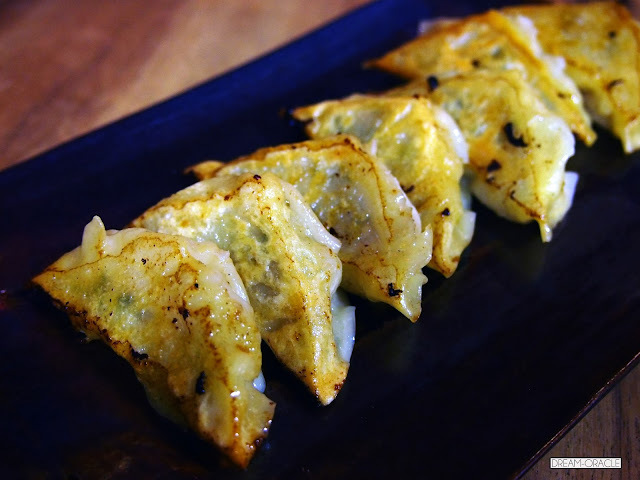 Pan-fried to golden perfection, the gyoza skin is so thin it simply tears apart when you bite into it. The chicken thigh meat is so juicy and tender, and when dipped into the special lime-pepper sauce, you can literally hear fireworks going off in your mouth. Must-try! Fresh tiger prawn mixed with crunchy water chestnut and "Shiso" leaves. I'm unsure how the chefs manage to make the prawn mixture so refreshingly crunchy but it's just beyond delicious. Though I have to say, chicken thigh is still a better marriage for gyoza. They have a cheese-mentai flavour as well and I wanted to order that because who can resist mentai?! But Mum doesn't like cheese so we ordered the above instead. Undoubtedly one of the best gyozas I've ever tasted. You HAVE TO try it when you visit Bangkok.